Energy bars are a convenient alternative to ready-to-use drinks or powder. 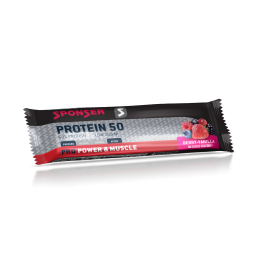 SPONSER® offers protein bars and snacks in many varieties whether low in fat or with/without carbohydrates. These products can be combined with fruits, vegetables or salad to a complete meal.